Ma Yoga Prenatal Yoga Los Angeles - and Mom + Baby yoga too! Welcome to Ma Yoga Los Angeles – Radha Yoga! Scroll down for our Class Schedule, contact info for your teacher, parking instructions, recommended caregivers in the area, and instructions for booking your first FREE class. So glad you’ll be joining our community! 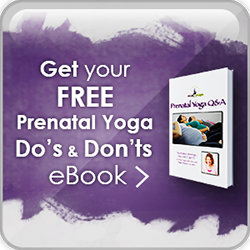 If you’re just landing on this page searching for Prenatal Yoga or Mom + Baby Yoga, please check out Locations in the navigation above to make sure this is the closest to you. Under Classes, you’ll also find Prices, Descriptions and Testimonials. Can’t wait to have you one of our Los Angeles, South Bay or Orange County Prenatal Yoga and Mom Yoga locations! Don’t worry, we never charge for booking, only attending. We do appreciate an email if you can’t make it – just email Jessica at jessica@mayoga.com. Welcome to Ma Yoga Los Angeles – Radha Yoga! Even if you aren’t on the journey to motherhood & beyond – you are welcome to come and make align with your center, and make space for whatever’s gestating within you – whether it’s a project, a vision for your life or a new way of being in the world. All are welcome! Jessica Jennings, MS, is a yoga teacher, mom lifestyle educator and teacher trainer. She founded Ma Yoga ® for Pregnancy, Motherhood & Beyond in 2009 after years of seeing what an incredible opportunity prenatal yoga is to help us discover our our power, wisdom, and nurturing energy and become the Mom we want to be. 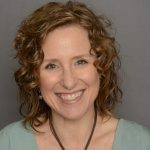 She specializes in yoga therapeutics for injuries, aches and pains, and loves creating a space where mamas can connect to body, breath, baby – and each other. Plenty of neighborhood parking. Out front is 1 hour, but just drive west on Washington and go left or right to park on 3rd Street or any surrounding streets. Radha Yoga is a teacher owned and operated communal healing space. We are here to create space for affordable all levels yoga classes, nourishing workshops, and offer practices to compliment our community’s daily living. EveryBODY is welcome to explore their inner self through the ancient practice of yoga. 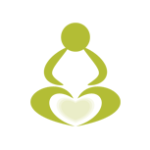 Our classes aim to guide you through breath work and postures, geared towards calming the mind and strengthening the body. Anyone can learn these techniques and practice regularly. We challenge you to expand your body, your mind, and your soul through the practice of yoga. To learn more about Radha Yoga please go to their website at Radha Yoga. I have attended four classes now at Ma Yoga, but all I needed was one to see why this place is special! I was always too afraid to do pre-natal yoga (or any yoga, for that matter) at a studio because I was intimidated and nervous. Ma Yoga is a warm, nurturing environment that not only helps me to learn about anusara yoga, strengthen for success in positions, but celebrates the joy of being pregnant. I was looking not to be a person in the back of a crowd but part of a community of women, and that is what I have found! I highly recommend classes by Jessica or Sara (although I'm positive all the instructors are wonderful), whether you have participated in yoga for years or started for the first time when pregnant like me. Jessica Jennings is a talented teacher, and she comes with both nursing and anusara expertise- so you are in very good hands when you take her class! I've been going to Ma Yoga for about three months and I can't say enough about the prenatal class. Jessica is such a great teacher and I've always felt welcomed and comfortable there. I was a yoga newbie and felt right at home from the very beginning. Each class starts off with a little Q&A with all the mamas-to-be and Jessica. She's a wealth of information and has been so helpful throughout my pregnancy. It's so great to hear how other women are feeling so we can compare notes and help each other out. That's my favorite part. The rest of the class is a mix of stretching, strength and meditation. I love how each move is about connecting with the baby. I can't help but smile when I hear "Lean in and say hi to baby" in the middle of the workout. Most classes also include an assistant, Grace, who has been incredibly helpful and is so kind. The class prices are fantastic too. I definitely feel like I get more than my money's worth when I go. It feels like such a great investment for me and my baby. It's been so relaxing and I'm so thankful to have found Ma Yoga. I'd recommend it to any pregnant woman at any point of her pregnancy. I'm really glad I started at 12 weeks though. I plan to continue with the mommy & me yoga post postpartum as well. I've been going to Ma Yoga for about three months and I can't say enough about the prenatal class. Jessica is such a great teacher and I've always felt welcomed and comfortable there. I was a yoga newbie and felt right at home from the very beginning. Each class starts off with a little Q&A with all the mamas-to-be and Jessica. She's a wealth of information and has been so helpful throughout my pregnancy. It's so great to hear how other women are feeling so we can compare notes and help each other out. That's my favorite part. The rest of the class is a mix of stretching, strength and meditation. I love how each move is about connecting with the baby. I can't help but smile when I hear "Lean in and say hi to baby" in the middle of the workout. Most classes also include an assistant, Grace, who has been incredibly helpful and is so kind. The class prices are fantastic too. I definitely feel like I get more than my money's worth when I go. It feels like such a great investment for me and my baby. It's been so relaxing and I'm so thankful to have found Ma Yoga. I'd recommend it to any pregnant woman at any point of her pregnancy. I'm really glad I started at 12 weeks though. I plan to continue with the mommy & me yoga post postpartum as well. These yoga classes are great. The space is cozy and homey and Jessica is a very warm and knowledgeable teacher. I often walk in feeling like my back and hips are all out of whack and then walk out feeling *amazing*. I love the community here too--it's so helpful to hear how other pregnant woman are feeling and it's a very supportive place. Also--I wasn't sure if this would be a place that would have a "you must have a natural home birth" vibe, but it totally isn't. All choices are embraced and that feels really nice--it's very nonjudgmental. I highly recommend this to moms-to-be...I always feel looser and taller and calmer after these classes, and if you buy a 10-class pack it's a very good deal. These yoga classes are great. The space is cozy and homey and Jessica is a very warm and knowledgeable teacher. I often walk in feeling like my back and hips are all out of whack and then walk out feeling *amazing*. I love the community here too--it's so helpful to hear how other pregnant woman are feeling and it's a very supportive place. Also--I wasn't sure if this would be a place that would have a "you must have a natural home birth" vibe, but it totally isn't. All choices are embraced and that feels really nice--it's very nonjudgmental. I highly recommend this to moms-to-be...I always feel looser and taller and calmer after these classes, and if you buy a 10-class pack it's a very good deal. What a beautiful, nurturing environment for expectant and new moms. It's a place to practice yoga and feel supported in a cozy, comfortable space. Teacher Jessica Jennings is absolutely amazing! There is a true sense of community, where women can share their feelings on pregnancy and motherhood. My tuesday night class with Jessica has been the best thing in my life. I am now 29 weeks pregnant, and I know this class has made all the difference in the quality of my pregnancy experience. I feel healthy, strong and impowered; both mentally and physically. I have Ma Yoga to thank!! THANK YOU Tuesday night crew!! My tuesday night class with Jessica has been the best thing in my life. I am now 29 weeks pregnant, and I know this class has made all the difference in the quality of my pregnancy experience. I feel healthy, strong and impowered; both mentally and physically. I have Ma Yoga to thank!! THANK YOU Tuesday night crew!! LOVE LOVE LOVE my classes with Jessica at Ma Yoga!!! I've been attending since I was 21 weeks and I'm now 26 weeks. I look forward to my Tuesday night class and feel GREAT afterwards! I feel more relaxed and calmer about the prospect of giving birth - it was VERY nerve-racking to think of it before I started my classes. It helps you breath and strengthen and just feel more confident that "you can do this"!!!! 🙂 Also LOVE that I am surrounded by a wonderful group of pregnant ladies - what a great support system! Cannot wait to start the mommy and me/ baby yoga classes once my little boy arrives!!! 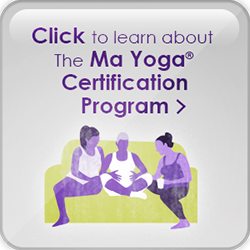 I took yoga classes at Ma Yoga when I was pregnant and it truly helped me enjoy my pregnancy. Jessica is so warm and supportive, with detailed knowledge of the body. She quickly became a key source of support throughout my pregnancy, helping me prepare for the biggest change of my life. I have recently returned to Mommy and me yoga with my 7 month old and it felt like coming home. I can't tell you how blissed out I felt all week after yoga. Truly the most amazing yoga class I have taken - such a nurturing and safe space. I LOVE MA YOGA! I have been going consistently since week 13 of my pregnancy, and I'm 35 weeks now. So this review is tried and true. I feel lethargic and achy a lot with pregnancy, and yoga is the one place where I feel capable, flexible, and strong consistently! It's also really empowering to see the pregnant Moms going to class and doing tree poses all the way up until delivery. The social support is awesome. You get to chat with others feeling the same way, then you get to do Yoga and feel wonderful. Whether you've done Yoga a lot before, or you have never tried it, Jessica is very welcoming and an excellent prenatal yoga teacher. And the fact that you can buy classes on the website, then attend classes in their network with many other locations/times/teachers is very convenient. When I'm having a good day, or having a harder day, there's really no excuse to not go to Ma Yoga because it 100% makes me feel even better. If you're looking for a Prenatal class, do this one! I LOVE MA YOGA! I have been going consistently since week 13 of my pregnancy, and I'm 35 weeks now. So this review is tried and true. I feel lethargic and achy a lot with pregnancy, and yoga is the one place where I feel capable, flexible, and strong consistently! It's also really empowering to see the pregnant Moms going to class and doing tree poses all the way up until delivery. The social support is awesome. You get to chat with others feeling the same way, then you get to do Yoga and feel wonderful. Whether you've done Yoga a lot before, or you have never tried it, Jessica is very welcoming and an excellent prenatal yoga teacher. And the fact that you can buy classes on the website, then attend classes in their network with many other locations/times/teachers is very convenient. When I'm having a good day, or having a harder day, there's really no excuse to not go to Ma Yoga because it 100% makes me feel even better. If you're looking for a Prenatal class, do this one!